=> Under Exceptions, Check the Specific addresses check box. => The new exception will display in the list. => Press the menu key and select Save. 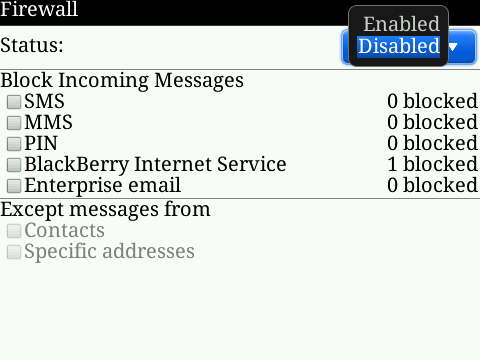 if i block emails will i be charged for those email when i am on roaming assuming i don't get any BBM msg or any app using data. Using android phone you must learn how to clear cache. When your phone runs a long time, it always suddenly run out of work… By means of apps is the easiest way to clear cache and boost your phone. 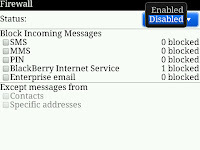 There is ann app more secure than Blackberry to protect your phone.